Established in 1818, the District Attorney for Westchester County is responsible for prosecuting criminal cases in the County. The only records currently available from this office are case files from the first half of the 20th century, which document criminal activity in the county while providing insight into its social history as well. Case files maintained by the office of the Westchester County District Attorney. Contents of case files varies widely from case to case. Items present for a specific case may include original indictments, District Attorney handwritten notes on case, correspondence and other documentation attesting to character of defendant, correspondence between attorneys and District Attorney’s office regarding appealing or pleading of case and/or sentence, County Court trial minutes, and various documents used as evidence at trials. Photographs of defendants and crime scenes are also present in some case files. Access to these records is restricted. Please contact the Archives Reference Desk for additional information. 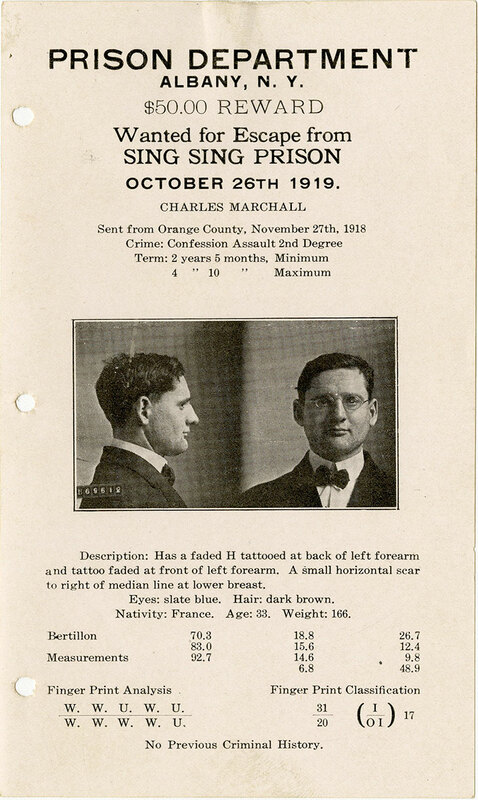 A sample of documents and photographs from this collection is available on-line: "District Attorney Case Files: Obscure, Noteworthy and Notorious"